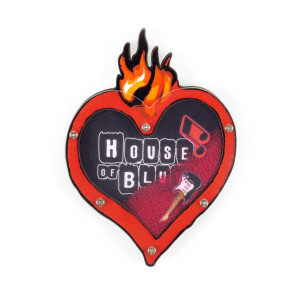 Decorate your fridge or other magnet-friendlyareasaround the housewith HOB’s famous “Hollow Heart” logo magnet. 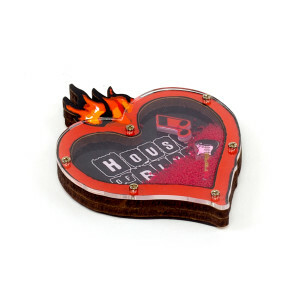 You can also shake the magnet to move the guitar and sixteenth note, along with the red sand. The perfect item for guests to add on to any purchase.